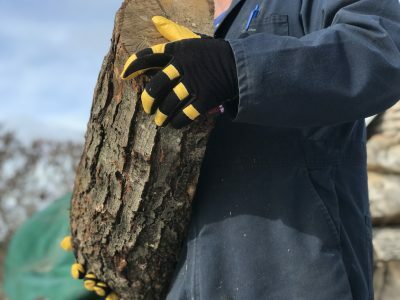 I’ve used work gloves every week for more than 30 years, so I was surprised to find that it took me until late 2017 to discover the story of Canada’s largest, oldest and most interesting work glove company. 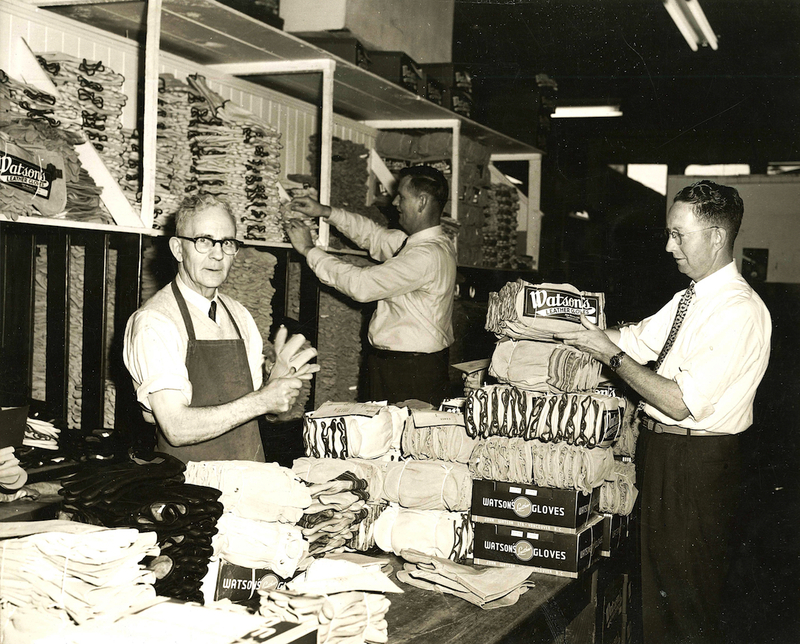 In April 1918, John Watson and Wayne Stanley teamed up to start Watson Gloves in a small shop on 2nd Avenue in Vancouver. The company has been making and selling gloves ever since. Today, Watson is Canada’s largest source of work gloves, but it’s not just their history that impresses me, interesting as it is. Many small companies of all kinds have come and gone over the last 100 years, and this makes me wonder: What is it that lets some companies continue and thrive while others disappear? As a guy who covers tools in print and online, manufacturers regularly reach out to me, hoping to impress me with what they make. That’s why a small box appeared on my doorstep just after Christmas 2017. It contained a couple of pairs of gloves, a 1918 Canadian penny in celebration of the 100th anniversary of Watson Gloves, and some old-time photos of the company starting out. What I saw gave me distinct twinges of national pride. I’m Canadian and here was a Canadian success story based on a century’s worth of hard work and intelligent effort pulling in the same direction. Work gloves are what got Watson where it is today, but there’s something for everyone to learn here, too. The first thing I noticed after visiting watsongloves.com was how many different gloves they offer – more than 1000 styles in all, many designed right here in Canada to meet specific needs. I didn’t think the world could possibly use this many different kinds of work gloves, until I learned how technical the whole work glove business is. It’s about a lot more than just leather and linings. A visit to the Watson website taught me how the American National Standards Institute, for instance, issues specifications for cut-resistant gloves used in industry. Work gloves are about more than just preventing calluses while you’re raking leaves in the backyard. Worker safety depends on gloves meeting certain standards in industrial situations, and this is where a business innovation comes in. Let’s say you own a company that involves workers at risk. Injuries are painful, costly and expensive, and the right kind of gloves can help prevent trouble. One of the services Watson offers is a consultation process where one of their technical people visit the workplace, assess the risks, then recommend specific gloves that best protect workers. Besides getting the best gloves in place for the job, this approach also gets Watson involved where sales decisions happen. It’s pretty smart business that also helps workers and the companies that employ them. Even though I’ve worn out countless pairs of leather gloves over the years, I never knew the technical differences between cowhide, pigskin, deerskin and goatskin gloves until I spent some time on the Watson website. The Watson goatskin gloves I’m testing now are the most comfortable I’ve ever worn. That’s me using them in the photo to handle firewood. I may well be weird, but I also found it interesting to learn that there are more than six different ways work gloves can be sewn together for different applications. Here in the western world we’re poised to face serious challenges to our standard of living as the world becomes more automated and competitive in ways we’ve never seen before. When I think of the future and what we as a nation might do to thrive in it, I keep coming back to the same thing. Hard work, innovation and always being the best we can possibly be. Watson Gloves may be a little company that makes lots of gloves, but I think it has big lessons to teach about work, excellence and success, too.